When the weather turns colder, water expands as it freezes and this can put tremendous stress on whatever is containing it, including metal or plastic pipes. Usually pipes that freeze are exposed to severe cold weather, like outdoor hose bibs, water supply pipes in unheated interior areas like basements, garages, or kitchen cabinets. To keep meters from freezing during extreme cold snaps, it is important to have a constant flow of water going through the meter. To prevent your pipes from freezing, allow a faucet to drip cold water slowly. The faucet you choose should be the one that is the greatest distance from your main water shut off valve. This is especially important if your property has experienced frozen meters in the past. If your pipes freeze, never thaw a pipe with an open flame. Use warm water to soak towels, then wrap the towels around the frozen pipes. If you recently had your meter thawed by a Loudoun Water staff member, please take care to prevent your meter from refreezing by following the above tips. Whether you're at home or away traveling, keep your thermostat set no lower than 55F. Travelers will often make the mistake of turning their thermostats off thinking it will save on their heating bill when in reality, they'll come home to frozen pipes. Shut off and drain the pipes leading to your outside faucets and/or hosebibs so no water is left to freeze, expand and cause a leak in these lines. Keep doors and windows to the outside tightly closed. Insulate pipes in any unheated or drafty areas. Hardware and plumbing supply stores carry insulation to keep pipes from freezing. Seal all leaks in crawl spaces and basements. 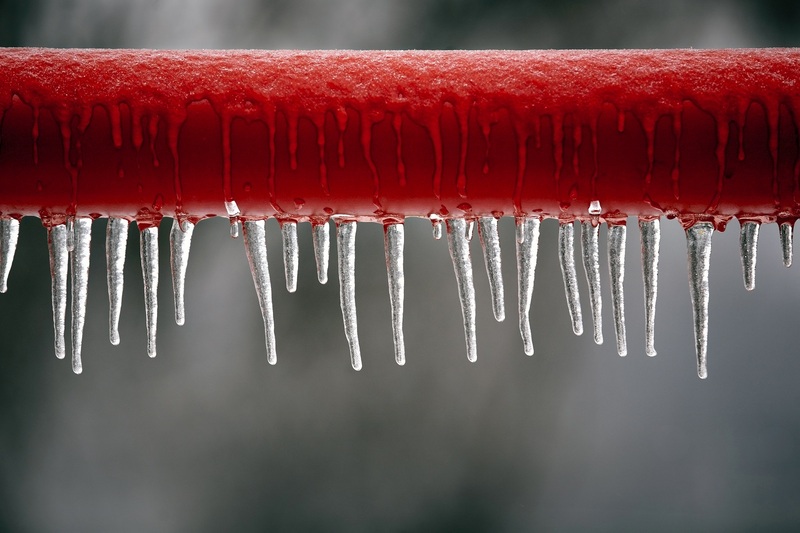 Freezing pipes are one of the most expensive risks homeowners face. Know the location of your main water shut-off valve. Minimize the potential of water damage by ensuring that everyone in the house knows how to shut off the water in an emergency. To help with this, Loudoun Water has a printable label that you can attach for easy identification. Call 571-291-7880 during regular business hours. Call our after hours emergency number at 571-291-7878. If you are unable to get through, fill out a Contact Us online form on our website. We ask that you do not attempt to open your own meter crock as this can damage your meter and result in fines. Overflows and backups can happen in your home or in our system. Do you know what to keep out of your drain? Cuando el clima se vuelve más frío, el agua se expande a medida que se congela y esto puede generar un estrés tremendo en lo que sea que lo contenga, incluyendo las tuberías de metal o plástico. Por lo general, las tuberías que se congelan están expuestas a un clima frío severo, como mangueras al aire libre, tuberías de suministro de agua en áreas interiores sin calefacción como sótanos, garajes o gabinetes de cocina.